As the first luxury hotel to be built in the United Kingdom, The Savoy Hotel stands proudly in the City of Westminster in central London. The hotel opened in 1889 and since then has become one of the most prestigious hotels in the city of London. Where modern Art Deco meets classic English Edwardian, The Savoy Hotel is one of the best luxury hotels in London, which has recently received a Five Star rating. Situated alongside one of London’s most celebrated landmarks, The Savoy Hotel stands on the North bank of the River Thames. With the likes of the Royal Opera House and the Royal Ballet just minutes away, the Savoy Hotel is the perfect location for a city break in London. 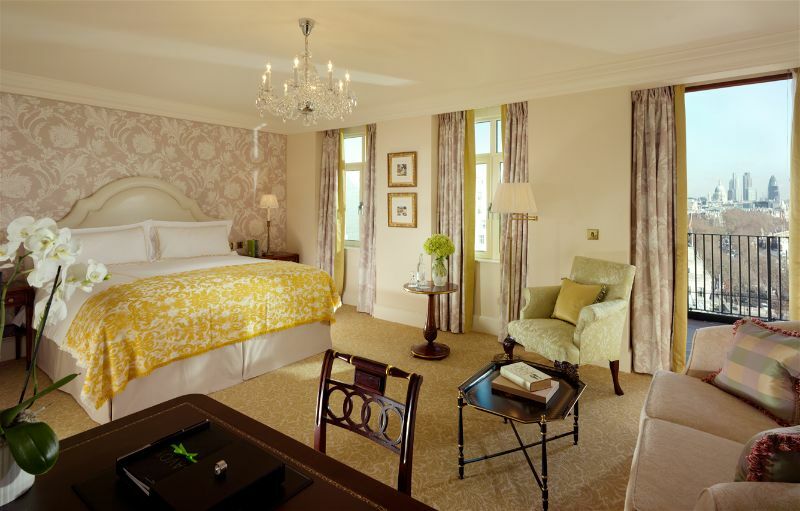 Home to 200 stunning guest rooms and 67 luxurious suites, The Savoy Hotel achieves the perfect balance of modernity and traditionalism. 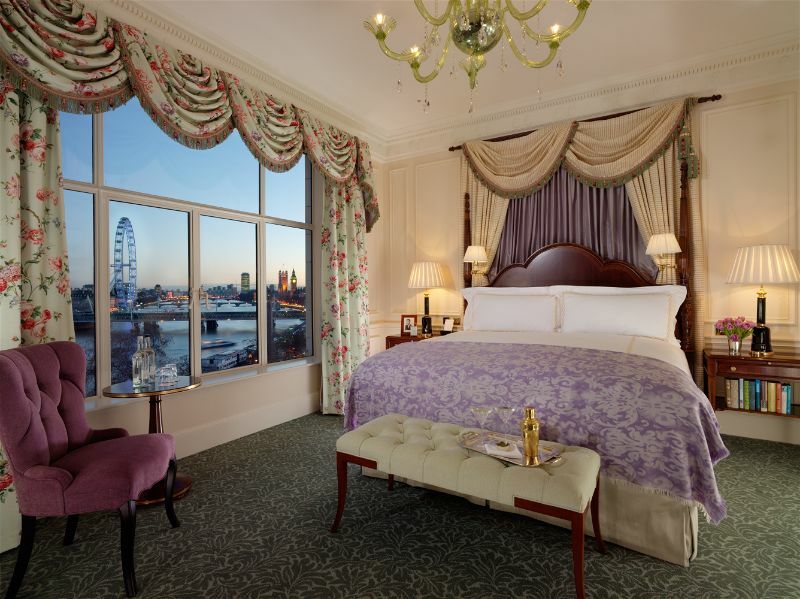 With large windows overlooking the spectacular sites of London and beautifully detailed furnishings, every room at the Savoy Hotel is set to take your breath away. 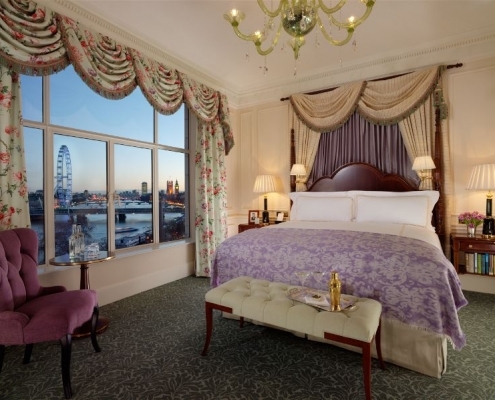 For guests staying in the lavish suites or speciality rooms at The Savoy Hotel, they can enjoy an exclusive 24hr Butler service, a personal bar, and bespoke Savoy furnishings. One can even pay homage to the hotel’s most famous guests who have stayed at The Savoy Hotel in the past, including the likes of Winston Churchill, Charlie Chaplin, and Frank Sinatra. 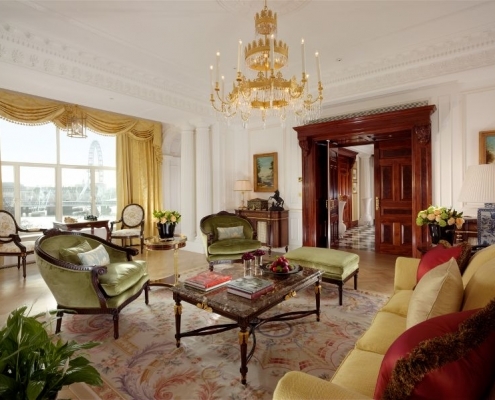 Opening in just 2016, The Royal Suite offers the complete package and dominates the entire fifth floor of The Savoy Hotel. 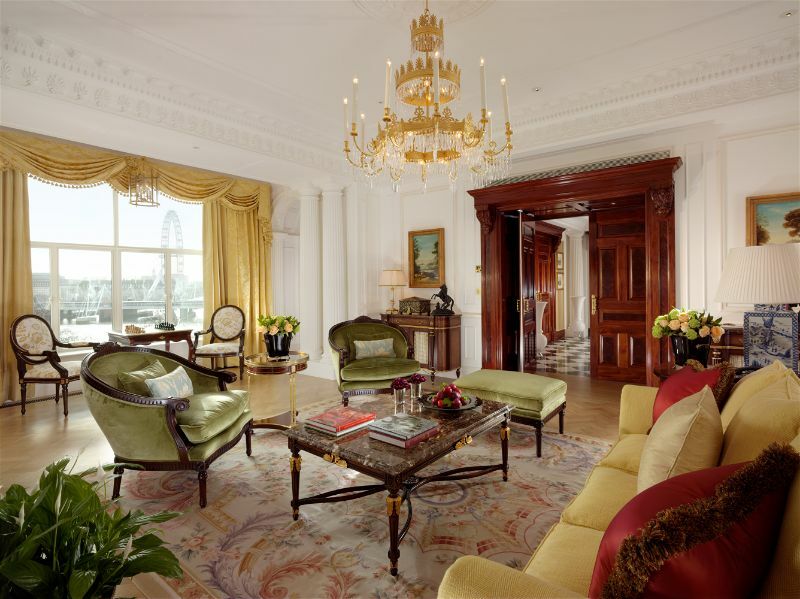 Featuring dramatic views that span from Big Ben and the London Eye to the Houses of Parliament and beyond, the Royal Suite will never fail to disappoint. At The Royal Suite, guests will have access to their own personal Savoy Royal Entourage, including a personal stylist, chef and bartender and London concierge. The team of the Savoy Royal Entourage are extremely dedicated to The Savoy Hotel’s guests and will go above and beyond to accommodate for all of their guest’s needs. Providing a number of first-class services for its guests, The Savoy Hotel London is available every moment of every day to ensure that each guest’s stay is memorable. 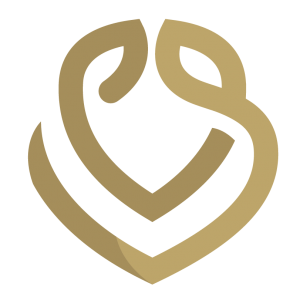 From a personal Butler service to specific business services to family services, The Savoy Hotel has everything you could think of. 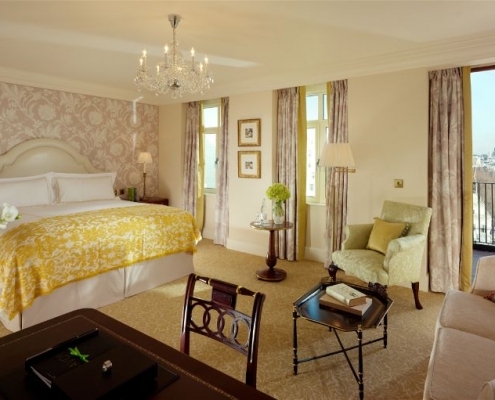 The Savoy Hotel prides itself in its care for families. The perfect setting for any family planning a trip to London, The Savoy Hotel provides everything from a Children’s Welcome Kit, to baby bathtubs to a babysitting service to ensure that every family can truly enjoy their stay. The ideal destination for foodies and cocktail enthusiasts, The Savoy Hotel presents several fine dining options and bars for the enjoyment of its guests. Guests can revel in the best of British seafood at Kaspar’s at The Savoy, whilst Simpson’s In The Strand is home to the best roast dinner in London. Guests can even try their hand at a making their own cocktails at a cocktail master class or other culinary events available at The Savoy Hotel. At The Savoy Hotel London, anything is possible.